"The answer is now clear. 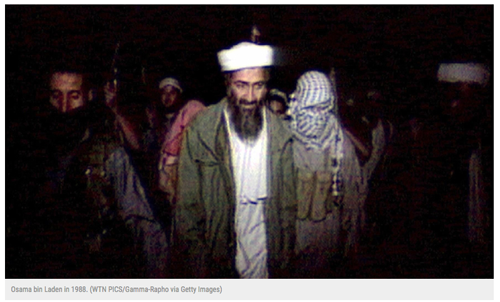 First, bin Laden's terrorist network wasn't the beaten and fugitive force Obama - then seeking reelection - claimed. Second, the documents proved beyond any reasonable doubt that Al-Qaeda had an uneasy but mutually beneficial relationship with Iran, and Obama spent much of his second term laboring to convince Americans that the Iranian regime could be trusted." "Almost the full collection of documents has now been made available - something this magazine has been calling for since 2013. President Trump and his administration, in particular CIA director Mike Pompeo, deserve credit for making good on their predecessors' pledges - and prevailing over the bureaucratic inertia that would have kept the vast majority of these documents secret forever. "Much of the information contained in this trove is dated. But it will yield valuable insights to scholars and journalists on the workings of a global terror network. And it will tell us much about the Obama administration's handling of the terror war from 2009 to 2011. From what we've seen already, the bin Laden documents won't do much to flatter "the most transparent administration in history." Now they tell us. It's now clear Obama would have lost to Mitt Romney, if the truth were told!